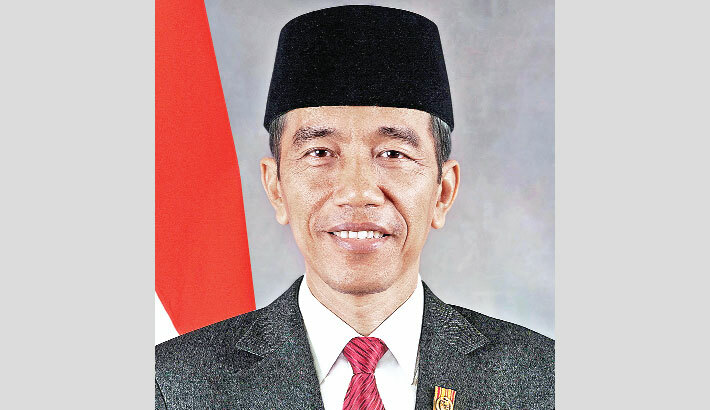 Indonesian President Joko Widodo will arrive in Dhaka on January 27 on a two-day state visit, confirmed a foreign ministry official. Switzerland President Alain Berset will also arrive in Dhaka on February 4 on a four-day official visit, the official said. The Indonesian president is scheduled to land at Hazrat Shahjalal International Airport in the afternoon. President Abdul Hamid will welcome his Indonesian counterpart at the airport followed by guard of honour for the visiting president. Widodo will have talks with Hamid at Bangabhaban followed by a dinner in the evening. The Indonesian President is scheduled to visit the National Monument at Savar to pay tribute to the martyrs of Liberation War of Bangladesh on January 28 morning. Widodo will subsequently visit Bangabandhu Sheikh Mujibur Rahman Memorial Museum in the capital to pay homage to Father of the Nation. Later on, the Indonesian President will meet Prime Minister Sheikh Hasina in the afternoon and have bilateral talks on different issues. The bilateral issues such as trade, investment, tourism, and connectivity are likely to get greater attention during the talks between the two leaders. According to diplomatic sources, Indonesia is very keen to sign the Preferential Trade Agreement (PTA) with Bangladesh. The country is also keen to establish direct flight between Jakarta and Dhaka, and to launch joint venture in the pharmaceutical industry in Bangladesh. Indonesia also wants to ink an agreement on banking system which will help financial activities of both the countries. Bangladesh wants joint venture initiatives from Indonesian side in different sectors such as power, agriculture, RMG, services, tourism and hotel management, the sources said. The diplomatic sources expected that both the sides might sign agreements and memoranda of understanding regarding aforesaid bilateral issues after the high level talks. Later on, the visiting president will leave Dhaka for Jakarta in the afternoon, wrapping up his two-day Bangladesh visit. Besides, the Swiss President is scheduled to land at the Hazrat Shahjalal Airport on the night of February 4. President Abdul Hamid will welcome his Swiss counterpart at the airport followed by guard of honour for the visiting president. Foreign Minister AH Mahmood Ali may call on the Swiss President that night. Alain Berset is scheduled to visit the National Monument at Savar to pay tribute to the martyrs of the Liberation War of Bangladesh on the following morning. The visiting president will subsequently go to the Bangabandhu Sheikh Mujibur Rahman Memorial Museum in the capital in the afternoon. He will have talks with Prime Minister Sheikh Hasina and his Bangladeshi counterpart Abdul Hamid that day. Alain Berset will leave Dhaka for Cox’s Bazar on January 6 morning to see the plight of the displaced Rohingyas. He will talk to them and hear their pains and sufferings during his stay in Cox’s Bazar. The Swiss President is scheduled to leave Dhaka for his country on January 7 morning, wrapping up his four-day bilateral visit to Bangladesh. Moreover, Vietnamese President Trần Đại Quang will arrive in Dhaka in late February on an official visit to Bangladesh. Both the countries are working to finalise the details of the high level visit, the diplomatic sources said. Though the date for the visit is yet to finalise, it might be during February 22 to 27, the sources confirmed. This is the first-ever visit of any Vietnamese president and Đại Quang is coming to Bangladesh in a reciprocal visit of Bangladeshi President Abdul Hamid in 2015. President Abdul Hamid invited his Vietnamse counterpart while visiting Vietnam in 2015.